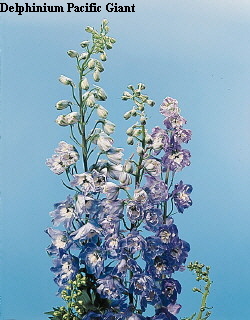 Pacific hybrid delphiniums are long-stemmed perennials They are sold in commerce under individual single-color cultivar names or as multi-color mixes that produce a variety of colors consisting primarily of blue, white, pink and violet. In late spring to early summer, Pacific hybrids produce 3-inch double flowers densely packed into terminal spikes. 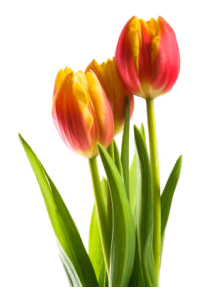 Flower color variations will occur, particularly when plants are grown from seed.